We finally left the rally site about 10:30. 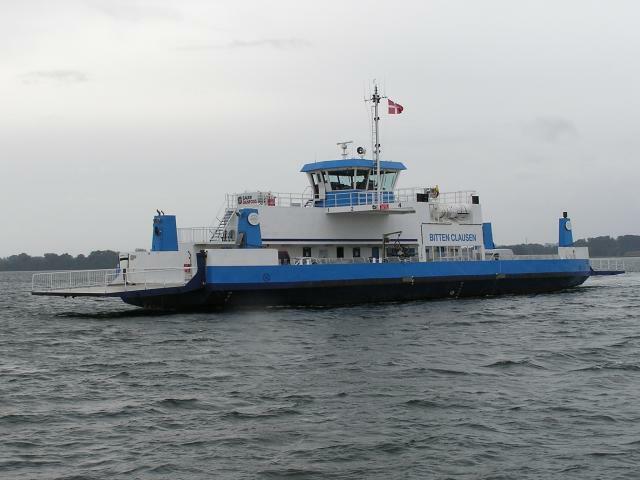 I had planned to get the 1pm ferry from Bøjden to Fynshav on Als. At one point we thought we would not make it, but Ceri-Siân pushed on hard and we just caught the ferry, being one of the last people to board. This is the ferry loading for its return leg at Fynshav. 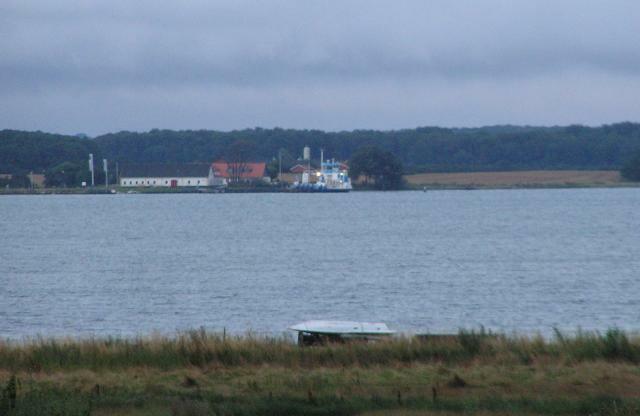 Having arrived on Fyn by ferry, we left by ferry. 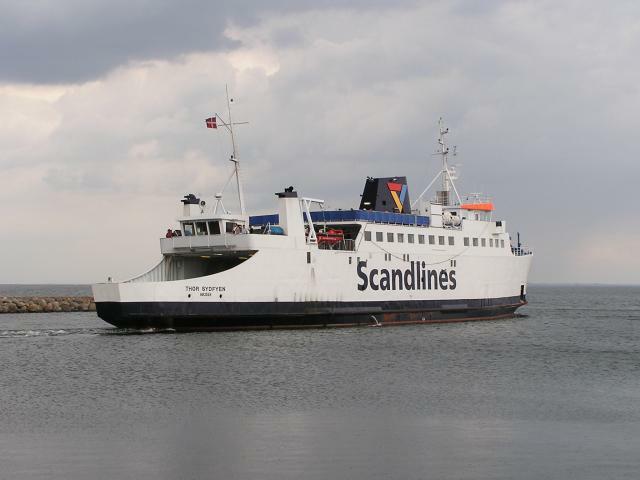 The ferry heading back from Fynshav to Bøjden. Note the change from a glorious sunny day to storm clouds. Our arrival on Als was marked by a thunderstorm and rain as as we rode across the island. 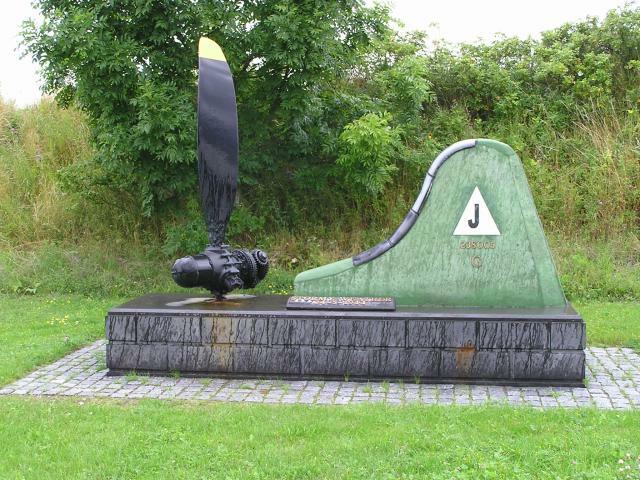 The atmosphere of the day and many days we had in Danmark was nicely summed up by a memorial to a US Air Force bomber crew of the "Stormy Weather". 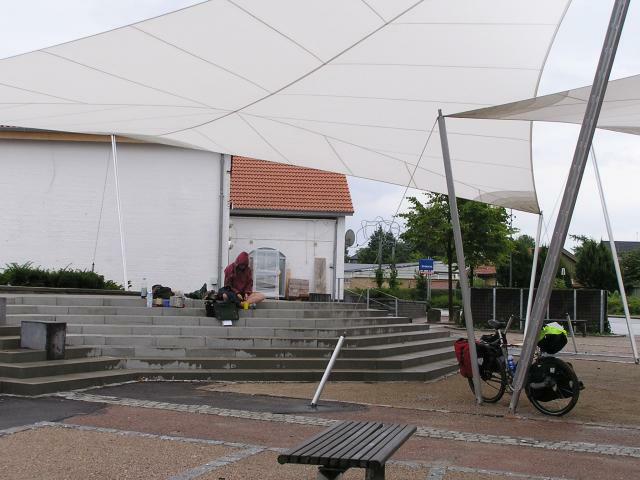 On Als we managed to find this very large "tarp" to brew up under in Guderup. From Guderup we rode across Als to Hardeshøj to get the ferry for the short journey across Als Fjord to Ballerbro and back onto Continental Europe mainland of Jylland. 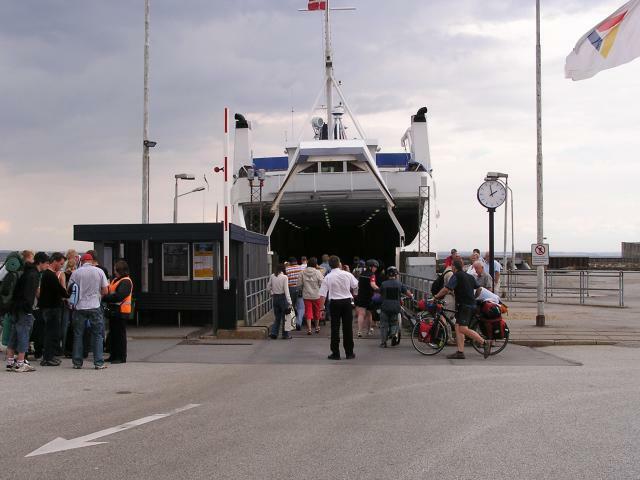 We had left Jylland by ferry and returned by ferry. Our last view from a ferry looking back to a Danish island, Hardeshøj on Als. 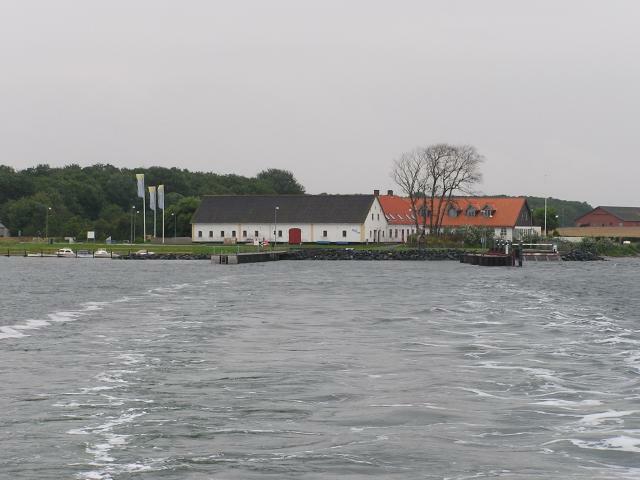 In our island hopping trip we had cycled on the following islands: Sjælland, Masnedø, Faslter, Lolland, Langelkand, Ærø, Fyn and Als. Eight in total, with over 390 still to do of the Danish archipelago! From Ballerbro, we rode a short distance to Blans where we camped at site 457. This a view in the fading light of a stormy evening looking from the site across Als Fjord to Hardeshøj. From Blans we rode in nice sunny weather past Adsbø Kristne Friskole, where they had a nice picture of mummy in bed, into Gråsten and then across Jylland virtually due west almost to Tønder. 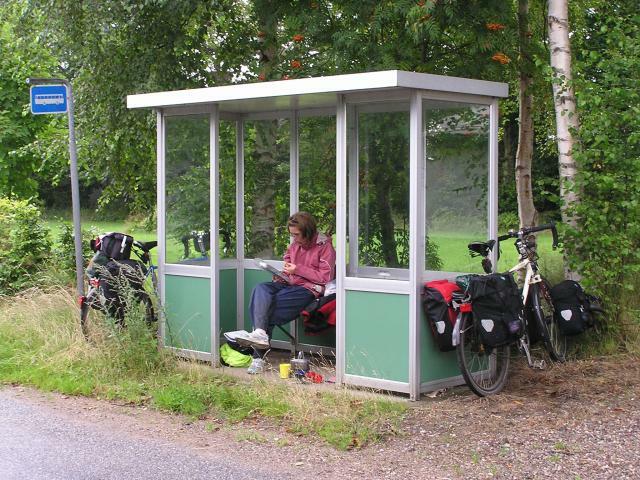 Later on in the afternoon we had a light shower, so an excuse for a brew up in a bus stop shelter at Store Jyndevad. From there is was a short ride to Grøngåd Mark, where we camped at site 481.